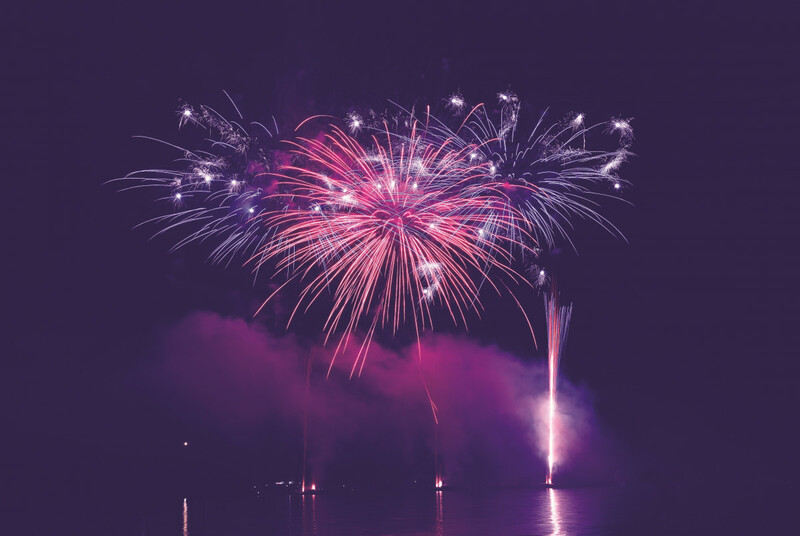 Going “ooh”, “aah” and “wow” over a fireworks display with family and friends is part of the fun of public celebrations. Similarly, the upcoming Malaysia National Day celebration is expected to dazzle with flashes and bangs. High-rise residents with views that overlook the Kuala Lumpur skyline, especially those with a view of the Petronas Twin Towers in KLCC, a regular backdrop for massive fireworks displays during events, will probably get to enjoy the spectacle without having to brave the trip downtown. During huge national celebrations, numerous main roads in the city tend to be closed and public transport is expected to be crowded. Of course, renting a hotel room with the city view is another option, but only if you are willing to pay the premium imposed during the holiday period. But do not give up so soon. EdgeProp.my has found five spots within the Klang Valley and Greater KL that will allow you to celebrate in view of the stunning fireworks this National Day or New Year’s Eve. You won’t even have to burn a hole in your pocket or get yourself squished in the crowd. Located at an unnamed junction between Jalan Hulu Langat and Jalan Mulia 2/1, Ampang Lookout Point, also known as Little Genting, has an ideal vantage point for a view of the KL skyline. Although the Ampang Lookout Point was closed in 2012, visitors have not been deterred, and still frequent the place for its spectacular KL night view. Just down the road from Ampang Lookout Point, are a few roadside mamak stalls. Here you’ll find the next-best spot to feast your eyes on the vista. You don’t have to hike up Bukit Saga for the KL night view. You can just visit one of the stalls along Jalan Taman Saga for some teh tarik and a bite while you enjoy the fireworks show. True, you may not get the full KL panorama from this point compared to Little Genting. However, it will not be as crowded, since this spot is still a well-kept secret of the Taman Saga neighbourhood. Located next to the National Monument in KL, the Asean Sculpture Garden is a landscaped garden with a collection of prize-winning sculptures in wood, marble, iron, and bamboo, made by artists from the Asean region. The official website states that it is open 24 hours. Titiwangsa Lake Gardens is one of the biggest green lungs within KL. The park spreads across an area of 95 hectares with a 57ha lake. It’s the ideal spot for a stroll after dinner, as you wait for the clock to strike 12 on the eve of Aug 31. Then, you can marvel at the sparkling colours and splendour of the fireworks shows. According to the Titiwangsa Lake Gardens official website, it is a 24-hour park. Bukit Mewah is one of the oldest high-end residential areas in Kajang. It is also on high ground in Kajang. The Mewah Club at Bukit Mewah features a cafe that is open to the public. Visitors can easily enjoy the KL horizon from the restaurant or open air carpark of the club. According to its website, the cafe is open until 1am every day. It is a popular spot for fireworks watching on New Year’s Eve, but if you are looking for a closer view of KLCC, this may not be the ideal spot. This story first appeared in the EdgeProp.my pullout on Aug 24, 2018. WATCH: Fireworks shows from around the world!